Wow! We finally scored a big bundle! 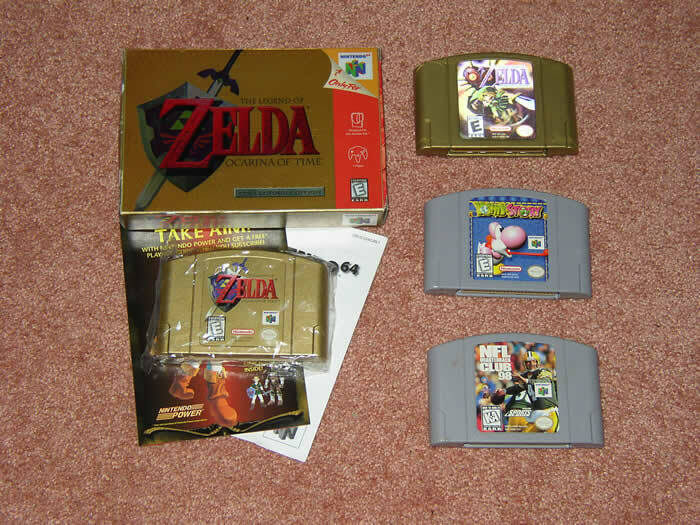 Amazingly, we came across all of the Nintendo stuff at a small sale just before 8am. 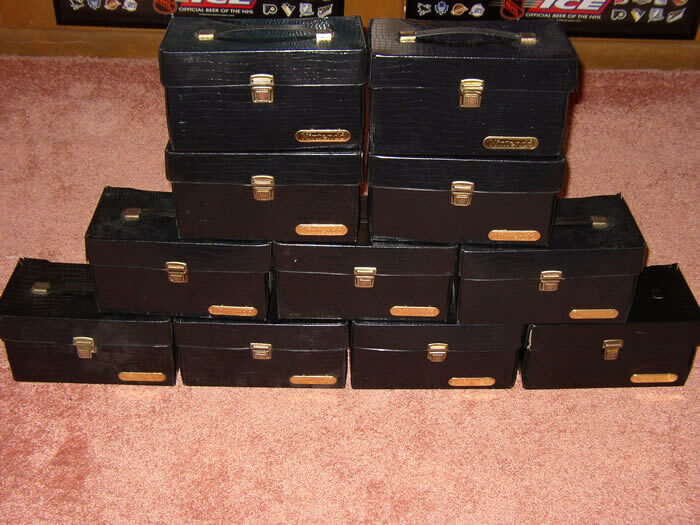 All of the black Nintendo cases were stacked up on the ground, right in plain view. 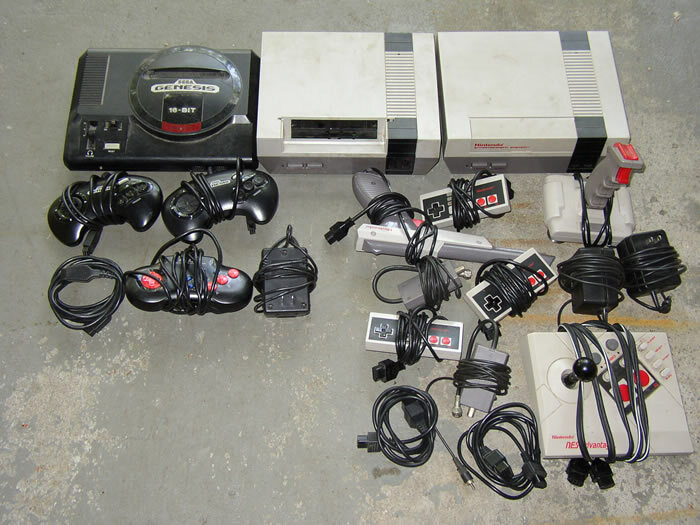 There was a Nintendo on the table next to it, and a big tub next to the cases filled with the 2nd NES, Genesis, and all of the controllers and hookups. We offered $5 for everything. Naturally, she was stunned, and thought about it for a few minutes, then said she was looking for $100 for everything. We countered with $10. She thought again for a few moments and came down to $50. We tried $20, but she stayed firm at $50. Finally we suggested meeting at the middle at $30, and she said that was fine. She "just wanted to get rid of it all". We didn't even have any big bills, and had to count out $25 in one's and managed to dig out a $5 bill from Liz's wallet. The car was a bit out of range for carrying, so Liz had to bring the car right up to the sale. As she was getting the car, she asked Dom if she could take the Genesis stuff, which of course we were fine on. We thought she took the Genesis stuff, and maybe she took some of it (we didn't notice as we were loading the car), but when we got home, there was the Model 1 and all the controllers, etc. under the NES's. So that was an unexpected bonus. There were a lot of games we didn't have, like Tengen Tetris and several others we had been hoping to find, which made the bundle even sweeter. What a great way to start the day! We probably used up our day's worth of luck on that bundle though. We came across a Sega Nomad about an hour and a half later. We've never seen one in the field before. The woman had to bring it out, because her son wasn't sure if he wanted to sell it. 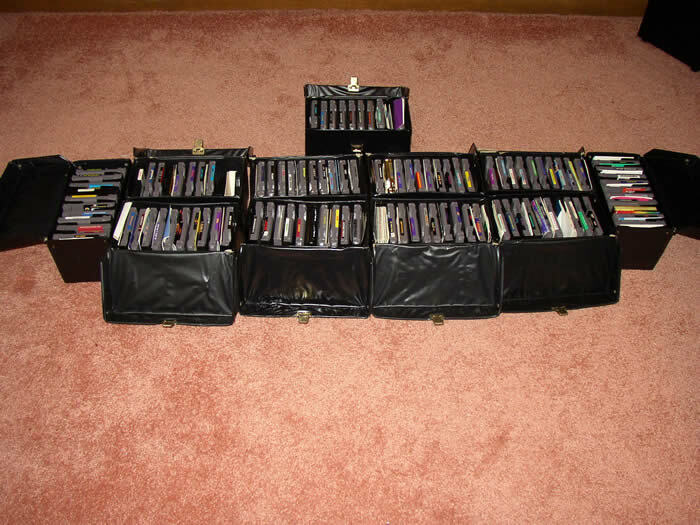 There were several Genesis games (mostly in rental cases), and sadly the Nomad was in poor shape. There was a nice crack across the screen, and the son was telling us how it didn't always work and you have to jiggle the power adapter to get it just right. So we offered $5 for everything. 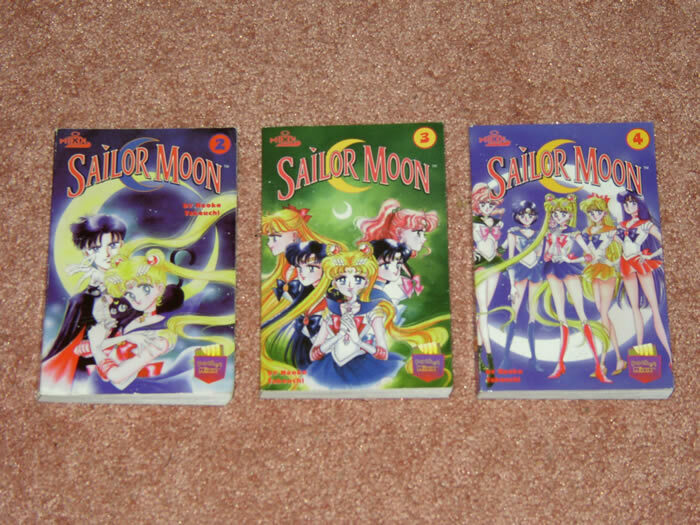 Then we got the classic eBay lines. The mother: "No way. I can get $75 for that on eBay. I just looked this morning." We replied, "Really?" "Go look, those things go up to $75." Not sure why she had such an attitude (unless she was insulted by our offer), but we tried to remain friendly. We asked how much for the Nomad alone, and she wanted $30 for that and $5 each on the games. We had to pass. The physical and working condition of the system just did not warrant paying $30. Hopefully we'll get another chance at one. 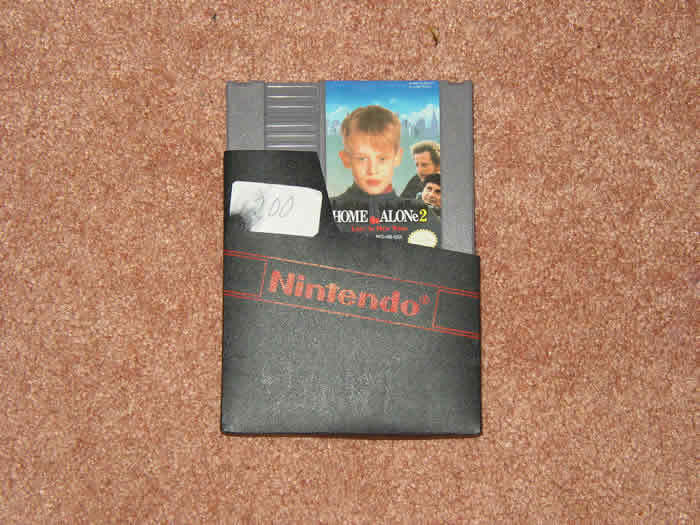 We actually were able to pick up Home Alone 2 there for a quarter CIF though. It was interesting that she let the NES game go so cheap, but was so adament about the Nomad. Ah well. Not much else to report, so here's the full list of NES games from our bundle!